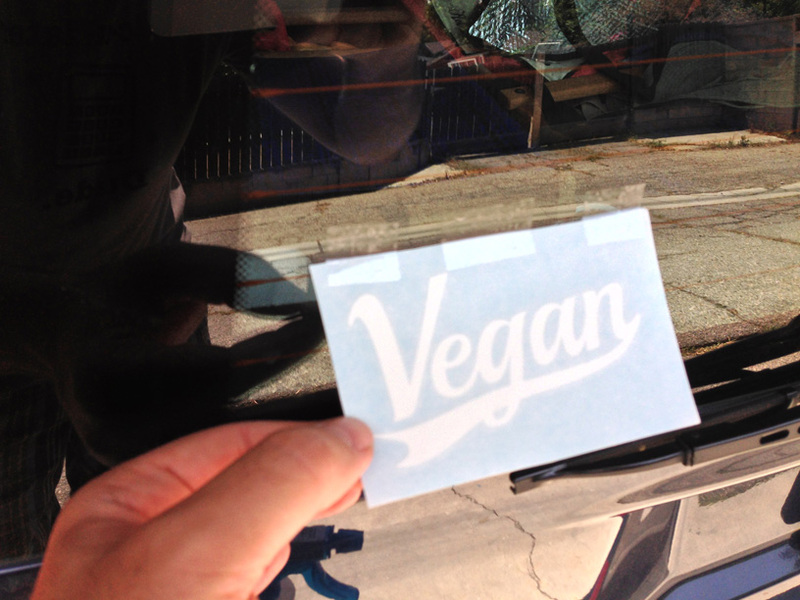 These decals work best on glass, metal, and smooth plastic. 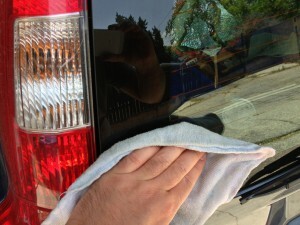 Make sure the area where you want the decal is clean and smooth. Try using just water if you can. Window cleaners or other chemicals may prevent the decal from sticking. If you have to use a chemical to get the area clean, just make sure you rinse it with water afterwards to remove all traces of chemical junk. 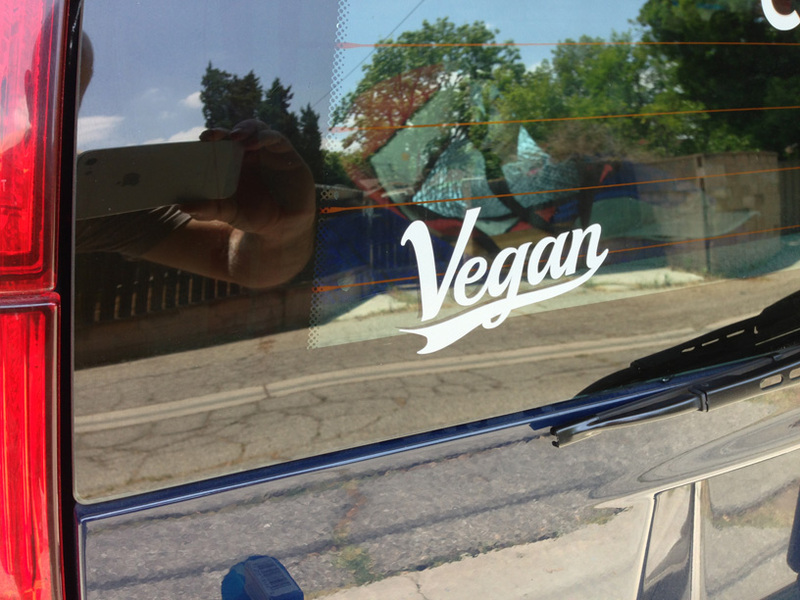 Place the decal where you want it. Tape the top of the decal at the edges so it stays in place. 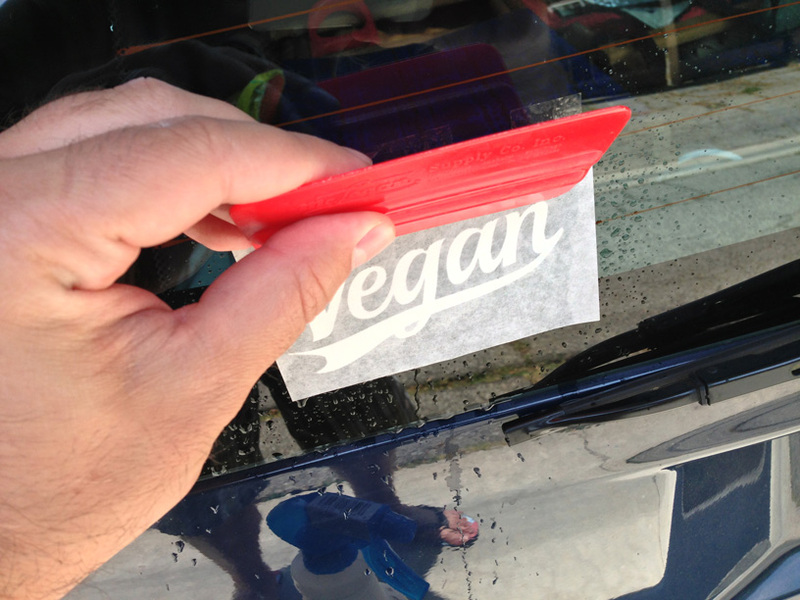 Spray a little bit of water on the surface where you’re putting the decal. This makes it easier to place the decal by temporarily making it less sticky. You’ll be glad you did this. 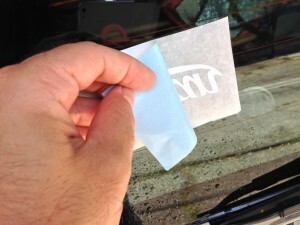 Peel off the paper backing from the decal. Tip: if some of the paper sticks a little bit, you can carefully scrape it off the sticky parts with your fingernail before applying. 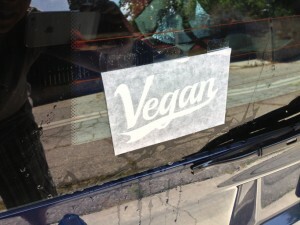 Lower the decal onto the surface you’re applying it to (make sure it’s wet). 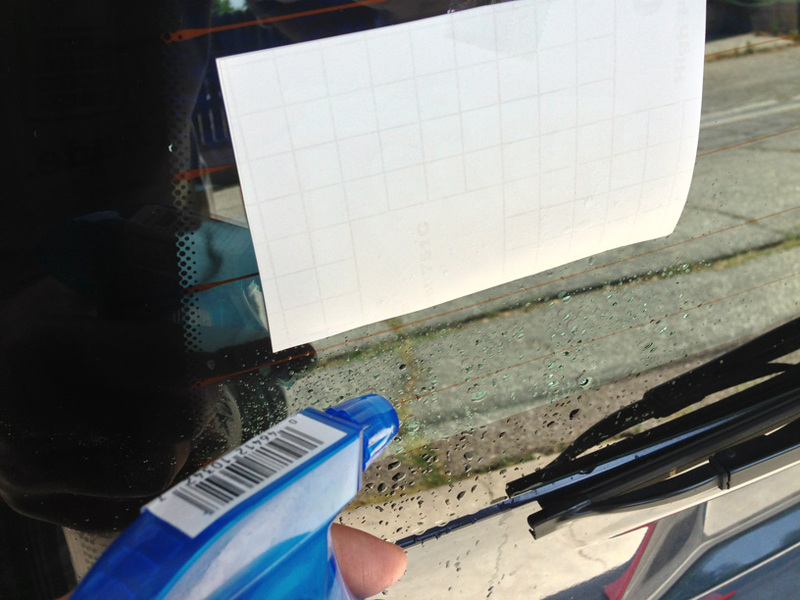 Using a squeegee or credit card, press out any bubbles and excess water. Tip: once it’s down, squeegee from the center out. It can be helpful to spray water on top of the transfer paper and squeegee it some more. Then let it sit for a few minutes, allowing the water to dry and the decal to stick. Slowly peel the transfer paper off the decal. Pull straight back along the decal, rather than pulling away from the surface. Tip: if the decal comes up, press it back on and let it sit a little longer. You’re done! 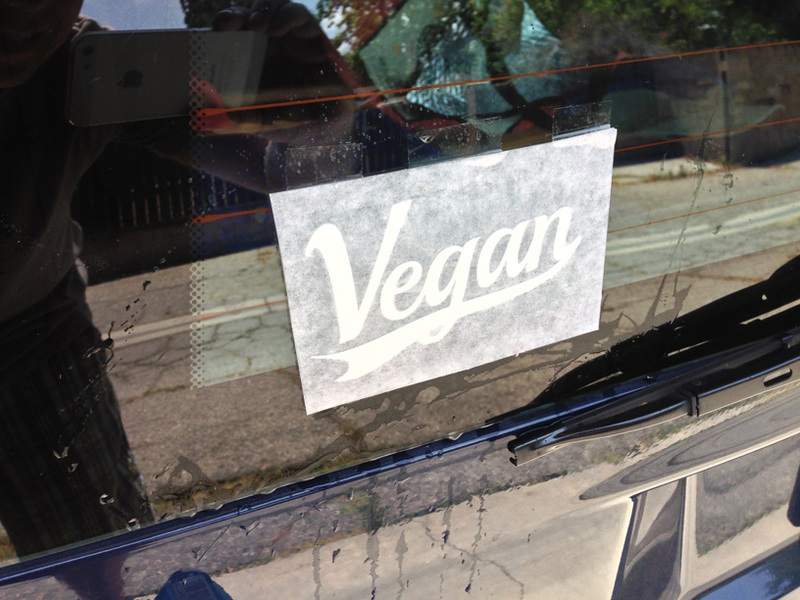 Wipe up any excess water and enjoy your decal.